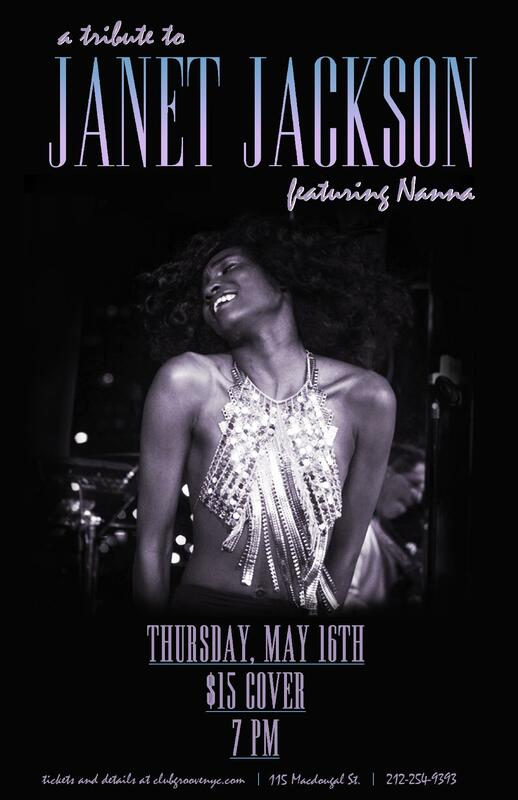 Come celebrate this pop queen's birthday on Thursday May 16th with a tribute to her entire career and musical legacy! Featuring Nanna and her slamming band, this tribute will cover Janet's top hits and deeper cuts, with all the feeling, energy, and sparkle of seeing the diva live. One night only!